Commenti: Am successfull sailing races on lakes in Southern Germany with my crew and want to use experience for SWAN\'s on Sea. Looking forward to your response. 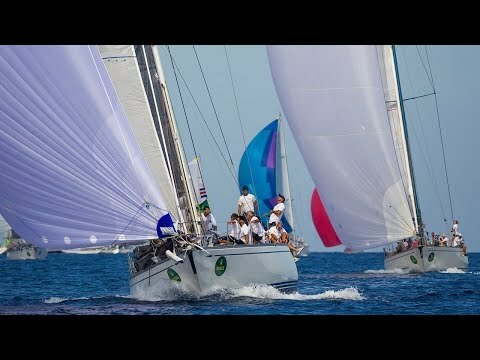 Commenti: Australian, extensive racing resume, 170k ocean miles. Completed Swan Regattas in Nantucket and Rhode Island in the past. Long distance, Sydney to Hobarts and inshore racing. Master IV Yacht Master. Weight 88 kgs. Will be in Sardinia Sept 8, looking for a ride. Commenti: Intermediate experiences on board of 50\' to 60\', 33 years old, passionate sailor and friendly person ready to sail! Commenti: hi, i\'m 20 years old, 76 kg, member of the italian olympic sailing team in rsx, experienced on international race courses. 3rd place ORC italian cup 2017, italian champion t293 2015, 3rd place rolex capri sailing week 2017, 5th place Regata dei tre golfi (offshore competition of the rolex capri sailing week) 2018, offshore experienced. contact me also on whatsapp if i don\'t answer the phone for the full curriculum. Commenti: Semi-professional sailor aged 28, based in Viareggio at currently. I try to embark on a further experience already gained, my experiences: 2 Giraglia Rolex Cup, 7 Cetaceans (Giraglia), 2 Italian ORC, 1 European ORC, 1 Melges32 World of which I am World Champion Corinthian 2017 (Vitamina Cetilar). I have also had experiences on boats like: Mumm30, Melges20, Melges32, J70, J24, Maxi 81, GS37 B&C, X-46, X-45, Platu25, Farr52, Nauta65. I have the Brevet of the FIV Level 2 instructor, valid ISAF-OSR, valid BLSD and I am Grade 1 ISAF. I propose myself as a navigator, but I am also willing to cover roles such as: Main Trimmer, Trimmer, Mast. I speak English fluently. I am willing to make transfers with compensation. More information, don\\'t hesitate to contact me. Thanks. Commenti: Hi! I\'m a professional sailor with over 60,000nm miles logged over the past 6 years, mostly offshore. I am very flexible in my maintenance and repair skills on deck or aloft of rigging and deck hardware and have most experience in pit and foredeck while racing. I\'ve raced over the years on the foredeck of superyachts in the Caribbean and East Coast, as trimmer for small performance classic yachts in New England, all around on board J80s and J24s, as skipper of an Oyster in offshore and inshore racing, and on the foredeck of a few classic schooners in the Panerai series. I speak English, Portuguese, Spanish, German, and basic French. Commenti: Dear, my sailing experience goes as far as loads of windsurfing/kite-surfing, dinghy sailing, sport catamaran, 4m, Laser and pleasure yachts up to 12m. Have no racing experience yet but do not lack enthusiasm and am volunteer for whatever job on board. I have my ICC done and am currently looking into the \"RYA Yachtmaster\" program in order to boost my knowledge. I understand some Italian and Spanish, speak English and am fluent in French and Dutch. I have the Belgian nationality, am 42 years old and measure 189cm / 78kg. I do look forward joining our team as a crew-member! Regards, Joachim. Commenti: 22 Year Old sailor looking for a chance to start a professional sailing career. I\'m 198 cm and 92 kg. Commenti: G\'day, I am the managing director for Bespoke Yacht Services and a professional yachtsman, hard working Aussie. Qualifications include Master 200, Office of the Watch 500, RYA Yachtmaster Ocean Instructor, Full STCW certifications. Racing experience includes: Previous Swan World Cup , Fastnet , Sydney to Hobart and round the cans racing in various classes. As a sailing instructor and mentor I am experienced in building a team to optimise individual and boat performance. Delighted to assist any owner / skipper. Please contact me to discuss further. Commenti: I\'m a 27 years old girl, high 180cm, weight 57 kg, very strong. I\'m a FIV dinghy instructor. My late experiences are as a trimmer. I\'ve partecipate to the 151 miglia race, Barcolana, 2 times the Cetacei race and for 3 years I have taken part in a championship in Viareggio on a Sun Fast 15. On my free time I race on a A Class Catamaran. I\'m a good member of a crew, respectful and positive. Fluent in english. Commenti: I am a 20 year old university student from the UK. Height: 193cm, weight: 85kg. Excellent fitness level. Plenty of inshore race experience mainly on the foredeck, but also comfortable at mast and in the pit. I am a quick learner so I be flexible and fit in wherever I\'m needed. Most recent experience: competed professionally at Cowes week aboard a first 40, and contested round the island on a first 25.7. Race regularly on the bow of a prism 25 out of Liverpool yacht club. Previously raced dinghies, mainly performance multihulls, lasers and RS200. Have over 2000miles coastal and offshore, and experience as a skipper. Looking to gain experience on bigger boats. I\'m a laid back easy going guy, but with a competitive streak. Always looking to race hard to earn the beers. Looking forward to hearing from you. Cheers, Matt. Commenti: I am an experienced skipper and engineer who has taken part in many regattas across the globe such as Key West race week, Cowes week and I have also taken part in many offshore races. I am currently in the area for the month of September and would be a great asset to any crew. Commenti: I\'m an Army officer, I sail for my passion. Have experience of Sailing Dinghy and keel boats to include J80, BAVARIA 44, Banteau boats. Have experience of Sailing in high seas and rough weather conditions. Looking forward for some real adventure and competitive Offshore Sailing. Commenti: I´m 1,86m tall, 78kg of weigh and I´m very fit. I´m nowadays sailing 49er in a professional way. Also I´m pretty competitive, and I will go with my 100%. I´m team racing WORLD CHAMPION and I have got 6 Spanish tittles, into 420, 29er and team racing. On the other hand I’m studying at Lancaster university business management, and the university is 29th in the world ranking of business by the times in 2018. So I could also help the team with administrative tasks and thing related to this ambit and also in the social networks ambit, were I lots of experience, so I could also run the social networks of the team, because I love sailing as much as business and I think this is a point where I could help a lot the team. With all this I don’t want a salary, I will go for free for the team and work without winning any money. Commenti: Hello, my name is Edoardo, I’m from Sardinia, 20 years old, tall 180 cm and my weight is 75 kg. I speak English and I’m looking for a boat to participate with at the swan cup. I’ve been sailing since I was five on small sailing boats as optimist, 420 and laser. I have some experience on a comet 333, a Bavaria 44 and I did some training aboard a Swan 56 “E2” in 2014 before that edition of the swan cup. I also have the FIV card and the license to use motor boats. Commenti: I am an Australian with 35 years of experience on all types of yachts. I have previously sailed in Porto Cervo, Sardinia in Americas Cup 12m World Champs, Sardinia Cup, Swan World Champs. Very handy on a racing yacht and can fill most positions. I am now in Porto Cervo. Commenti: Hi there, passionate about sailing, I’m looking to gaining experience with this sport and especially with racing. I have sailed especially dinghys over the last 10 years and care to move onto larger boats. 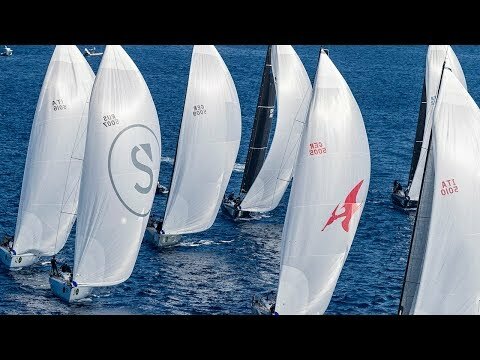 I have participated in some regattas around Italy and would like to further my experience. I bring a healthy sporting attitude with me and most of all an enthusiasm to participate while giving it my best. I am ready to take on any role needed onboard. Ricordiamo agli utenti di non scrivere contenuti inappropriati o offensivi altrimenti potrebbero essere rimossi o non approvati dal moderatore; si invitano gli utenti a pubblicare contenuti brevi, che non contengano riferimenti a dati particolari che li riguardano e che rendano la persona identificabile e profilabile, in particolare Nome e Cognome, email, numero di telefono, profili social, ecc.. Lo Yacht Club Costa Smeralda non si assume nessuna responsabilità in caso di pubblicazione autonoma di informazioni di contenuto personale da parte dell’utente che possa ledere il diritto alla riservatezza.